We spent some time thanking God for the kind acts of others toward us. Then we began to discuss someone that we could encourage through an act of Christian kindness. God laid someone’s name on my heart. When I shared it, the suggestion was warmly embraced by the entire family. We committed to pray and ask God what he wanted us to give toward a financial need. Each of my 3 kids has multiple “piggy banks” so I thought it would be good to teach them to give some of their own money rather than merely giving a “family gift” from Mom and Dad’s checking account. They were assigned to spend some time praying for the Spirit’s guidance. 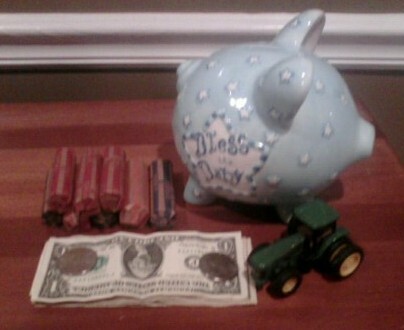 Andrew (age 7) woke up this morning and said, "God told me to give everything in my blue piggy bank." I asked, "How much is in it?" He shrugged his shoulders and replied, "I don't know." So we emptied the bank, counted the money, and rolled the coins this morning. With the final tally, he is going to give $43.24. I don’t know who is more pleased by the gift. Him or me? Reflecting on this event has brought several things to mind. 1. My son has a heart of compassion. Andrea and I have often commented that we do not know a kinder person in the world than our son. Sure, he has his selfish and sinful moments. But his heart is tender toward the needs of others. I need to be more like Him because he is more like Jesus in this area of his life. 2. We believe in tithing, not out of legalism but out of love. But this was a “special offering” so I told the kids, “Just pray and do what God said to do.” When Andrew was willing to give all the money in his bank without even knowing how much it was, it really pictured this simple truth: If God said “give it all” then it really did not matter how much “all” was. I am challenged by his simple heart of obedience. 3. God has been good to our family. We are not wealthy people (by American standards) but we’ve made some wise decisions that God has honored, in part by blessings we’ve received from others. When my middle child has $43 sitting in one of his several piggy banks, it is a sign that we are a blessed people. This thought does not lead me toward asceticism…to feel guilty about my blessings. Rather, it just makes me feel grateful. 4. I am a blessed man. 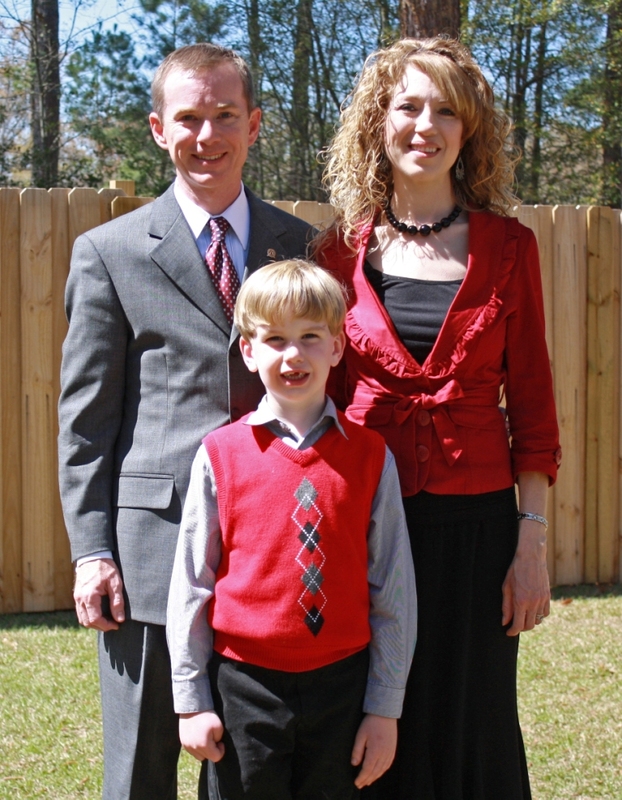 My wife and my kids love me and they love Jesus. I am convinced I have the spiritual gift of giving. Nevertheless, God spoke to me this morning through the mouth of a child...my child. I need to be more committed than ever before to using my blessings and my possessions to build the Kingdom and to bless others. I feel like God has allowed us to do that as our regular practice. But we can always do better and we can always do more. So thanks for being obedient, Andrew. God taught Daddy a lesson through your kind and generous heart. One of the greatest joys of my life is watching you fall more in love with Jesus as you grow in His knowledge and grace. Daddy wants to be like you.